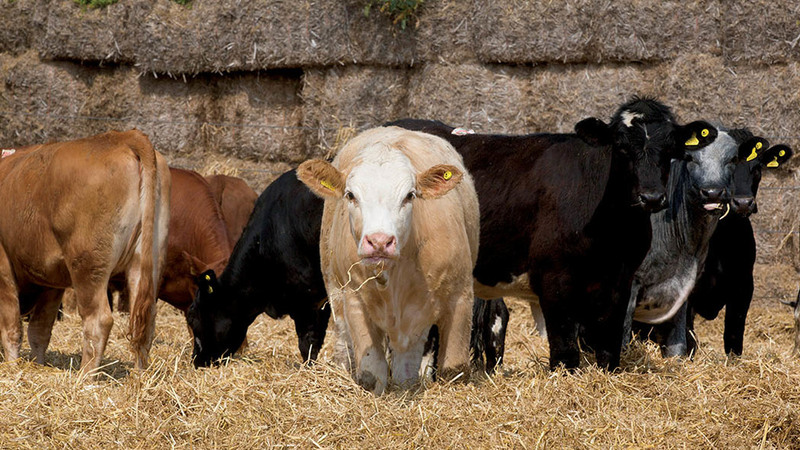 Taking a proactive approach to cattle health and making small improvements in average daily liveweight gains (ADLWG) is positively impacting the bottom line on one Lincolnshire farm. 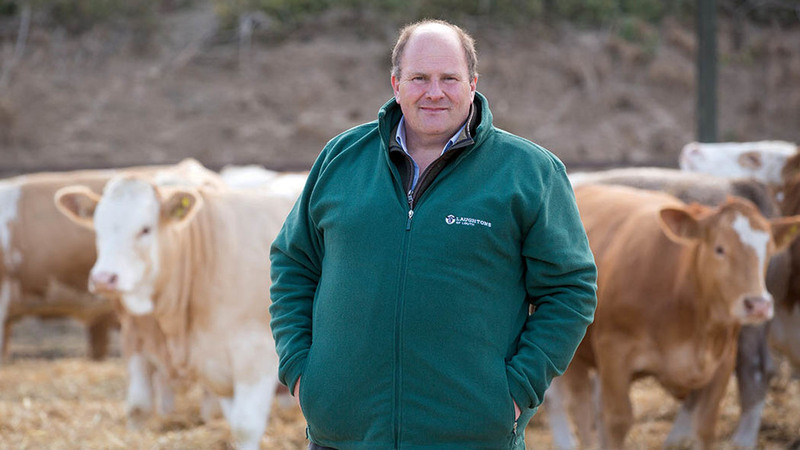 Beef finisher Andrew Laughton of Southfield Farm, Louth, finishes up to 6,000 cattle a year with about 2,000 cattle on-farm at any one time. He says: “If I can increase the average daily liveweight gain by 0.01kg across 2,000 cattle, then this will give an extra 20kg of liveweight a day. At £2/kg, this is £40 a day and across the year this is an extra £14,600 to my bottom line, the wage of half a man. Cattle are bought when they weigh 400kg, rather than being selected by age, from a range of markets. 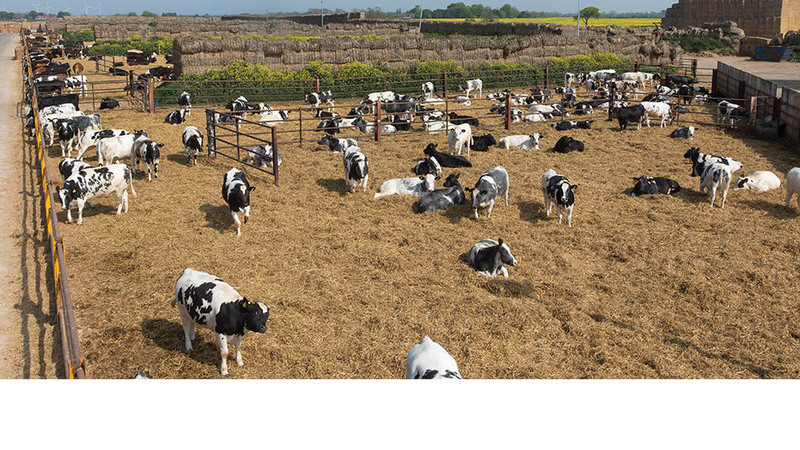 They are finished in outdoor straw yards and fed a total mixed ration of bakery waste, vegetable waste, maize silage and other co-products, depending on availability. The aim is to finish cattle at a 0+R or 4l specification, with weights ranging from 500-800kg liveweight. Cattle are usually only on-farm for about 120 days before being sold direct to slaughter. “Rather than focusing on weights or ages when buying animals, we look at their size of frame and their potential to finish well in outdoor straw yards,” Mr Laughton says. Although he does not have a target daily liveweight gain as the animals are different breeds, ages and have been reared differently, he uses EID to monitor growth rates. While the health of his animals was good, Mr Laughton signed up to Beef4Life, a consultancy service run by Westpoint Vets, with only a small proportion needing antibiotics. Of those, 4.8 per cent were diagnosed as having pneumonia. However, when vet Molly McKay visited the abattoir to look at what information the carcasses could give about possible growth limitations, lung scoring revealed about 60 per cent of the animals had lung lesions from pneumonia. Many also had liver lesions consistent with previous fluke infection. Given the animals were bought-in from multiple sources, there was no way to identify when the animals became infected. As a result, a vaccine trial was introduced using one dose of a intranasal pneumonia vaccine which protects against bovine respiratory syncytial virus (BRSv) and parainfluenza type 3 (Pi3), as well as an intranasal IBR vaccine. Since using the vaccines, they have compared vaccinated animals from November 2016 to August 2017 with unvaccinated animals going through the system in a similar period in previous years, and found there had been an average increase in weight of 0.18 kg per day. Mr Laughton also looked at changes in mortality and morbidity. When comparing periods from pre vaccination to when vaccination was in place, they saw a 21 per cent reduction in pneumonia treatments and a 47 per cent reduction in mortality. The health plan has increased the herd's margin by £5,350 each month. He says in an ideal world all the animals he buys would have been vaccinated to prevent pneumonia cases earlier on. In the future, he hopes he may be able to implement an integrated system to add some consistency to the way animals are managed. “If we had an integrated system where I was buying animals from a set source which had set management practices, such as colostrum management and had been vaccinated and wormed correctly, then it would allow me to use my data to highlight what animals do better and where improvements can be made,” he says. Previous Article Yorkshire Dales farmers star of the show in rural exhibition "Voices From The Land"